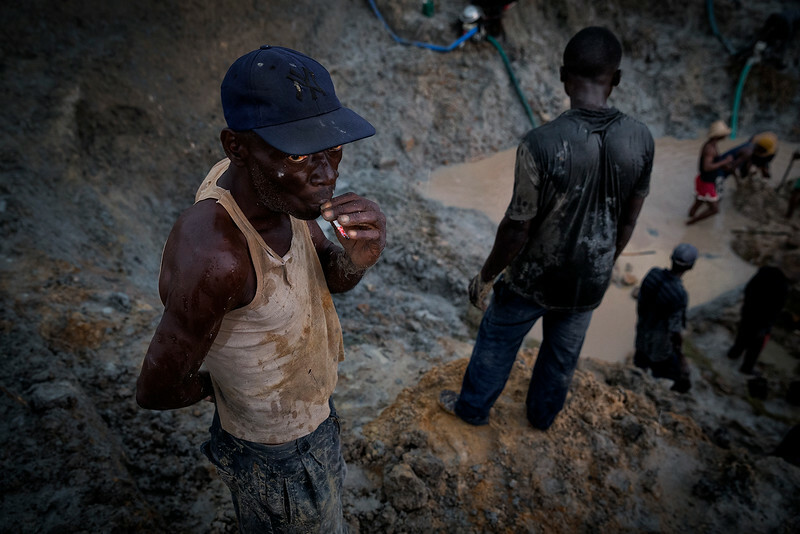 In the jungles surrounding the city of Mbuji-Mayi in the Democratic Republic of Congo, men dig for diamonds. They hardly make a living from it and the work is both hard and dangerous. Bandits sometimes raid their camp, and should they find something of great value, the local police might drop by and confiscate it.